The Center has sanctioned funds to the 161th National Highway (Sangareddy-Nanded-Akola) to change as 4 way, which runs through joint districts such as Sangareddy and Medak districts.Officials have also begged the land acquisition activities as part of this road stretch. The national highway will be extended up to 140 km by connecting Sangareddy, Medak and Kamareddy districts with an expenditure of Rs.2500 crore. This road will go through Taekmel, Alladurgaram and Vavunankarampatta Mandal in Medak district. As part of the Budget presented by the Central Government recently, the government plans to take up to 4,500 km of construction in 2018-19. NHAI has called tender for 5 projects in the state already under 367 km. The rest of the 529 km National Highway has been decided to undertake Bharat Basra-1 project. Farmers and other merchants and businessmen will lose up to 27 km stretch in Body Mattapalli in the Takemol Mandal, Jambukulam in the Pettah Mandal area from Alladuddhagam Mandalam Gaddipedda in the district as part of the highway. 266 acres of land will be collected in these zones. 144.08 acres in Alathur, 21.9 acres in the Takemel zone and 100.17 acres in the petta zone. 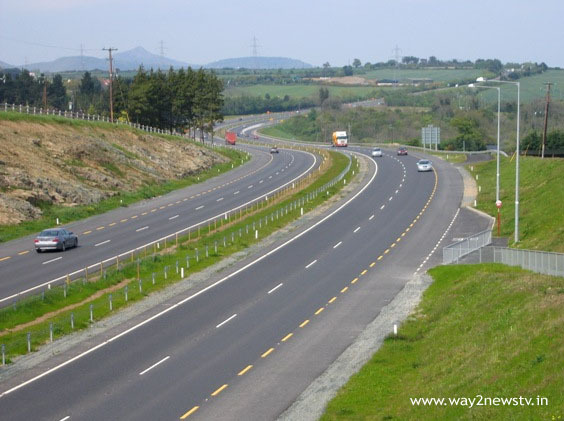 On the two sides of the national highway there will be 100 feet stretch. Bypass at eight places on this national highway. They will be constructed in the villages of Sangar Reddy, Welo-Jogipet, Vadakankkampatta, Nizampet, Plump, Malkudupugal, Madhur villages. A bypass in the district is going to be bypass. There are no bypasses in the all-rounder, takemap range. Around 2.5 km of Bypass will be constructed from Raghavan Thantha to Kamalpur on the outskirts of Venkatapur in Kattala. The land losers are demanding to pay the prices according to current market price. Recently, RDO Nagesh and officials held a meeting with all the land migrants from Alladurgam, Takamol and Pettai Mandals. Two more conventions will also be held.